Taking good care of yourself during pregnancy is the most important way to have a healthy baby. To get off to a healthy start, it is important to know that you are going to have a baby as early into the pregnancy as possible. You should get this confirmed with a blood test if you do think you may be pregnant. Once confirmed, schedule regular appointments. Unless there are risk factors, you should see your obstetrician once a month for the first 28 to 32 weeks. Women who develop diabetes or high blood pressure during pregnancy, or who have a history of delivery before 37 weeks, should see the doctor more often. These tests are all routine and are performed on every pregnant woman. The next set of prenatal tests will be performed between weeks 8-18 of the pregnancy. 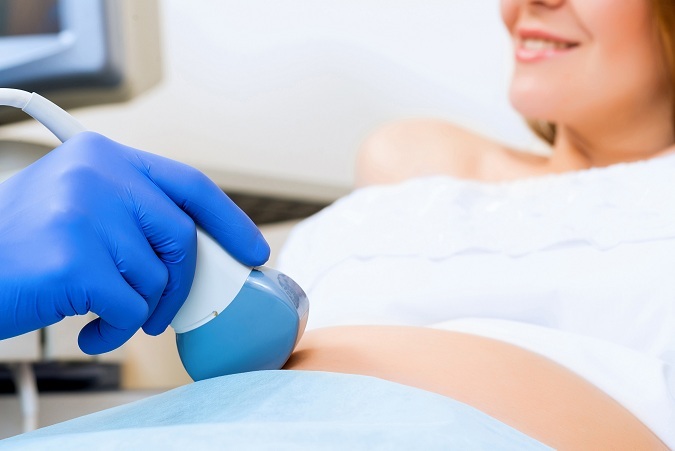 Ultrasound screening can help determine your due date more accurately, and also look for abnormalities in the fetus. Prenatal screening is testing for diseases or conditions in a fetus before it is born. Screening tests tell you your chance of having a baby with Down syndrome, trisomy 18 or structural abnormality such as an open neural tube defect. Screening tests cannot tell you for sure whether or not your baby has one of these three conditions, only the chance of this. To find out for sure, you would have to decide whether to have a diagnostic test. A screening test is offered to all women during early pregnancy to assess the risk of the baby being born with Down syndrome, in this pregnancy. If your screening test shows a high risk that the baby has Down syndrome, you will usually be offered a diagnostic test. Combined First Trimester screening or NT scan: also known as the combined screening or NT scan. This has important implications for you and your family and before undergoing this test it is very important that you have discussed this testing procedure. It involves two tests, a blood test and an ultrasound. Blood Test – It is recommended to have the blood test at week 10 of pregnancy. However, the blood test can be performed up until 13 weeks and 6 days of pregnancy. It analyzes three chemicals called free beta-human chorionic gonadotropin (hCG), pregnancy associated plasma protein-A (PAPP-A), and placental growth factor (PLGF) which are found in the blood of all pregnant women. Ultrasound – It is recommended to have the ultrasound at week 12 of pregnancy. However, the ultrasound can be performed from 11 weeks through to 13 weeks and 6 days of pregnancy. It is a highly specialized ultrasound. Because this is a screening test, a positive result (showing an increased risk) does not mean that your baby has a problem, only that further diagnostic tests are options for you to consider. Also, a negative or normal result (one that shows a decreased risk) does not mean that the baby will not have a chromosome abnormality. It is important to remember that most women will have normal babies, even if they are grouped as high risk. Depending on the results of the screening tests and other risk factors such as the mother’s age or a family history, the doctor may then suggest diagnostic tests, such as chorionic villus sampling (CVS) or amniocentesis, both of which detect Down syndrome or other abnormalities. Both CVS and amniocentesis carry a small risk of miscarriage and the parents to be must decide on the best course for themselves after discussing it with their doctor. Between weeks 24-28, the mother is screened again for diabetes as some women develop pregnancy-related diabetes, known as gestational diabetes. Though these are all routine tests, there may be other prenatal tests that your obstetrician will recommend, depending on medical history or family background. If you have a family history of illnesses such as muscular dystrophy, hemophilia, or cystic fibrosis, you may consider consulting a genetic counselor. A genetic counselor can let you know how your risk factors can affect your pregnancy and you can prepare yourself ahead of time if you know what to expect.